Qanfouth, is a little hedgehog who lives happily with his mother and father. His father decides to teach him how to be a spiky ball, Qanfouth feels surprised for why he should form a spiky ball, so his father explains for him that their way for… To know more, read the story القنفوذ الصغير . القنفوذ الصغير is a short story for children from the series,نادي القراءة العلوم المستوى الثاني, offered by Dar Al Manhal. 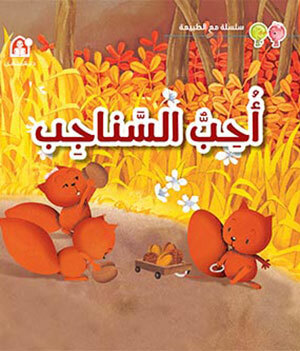 The series, نادي القراءة العلوم المستوى الثاني includes eight stories. Each story tells the tale of one of the animals' youngsters through a simple story and amazing graphics. And it makes the kids the surrounding environment, and at the end of each story they get to know the animal through real images with a brief about its home, food and so on.